Double-Wide: L-R Alan Ferber, Matt Perrine, John Ellis, Jason Marsalis, Gary Versace. “John Ellis and Double-Wide” was formed in 2007, though it’s history starts long before that. 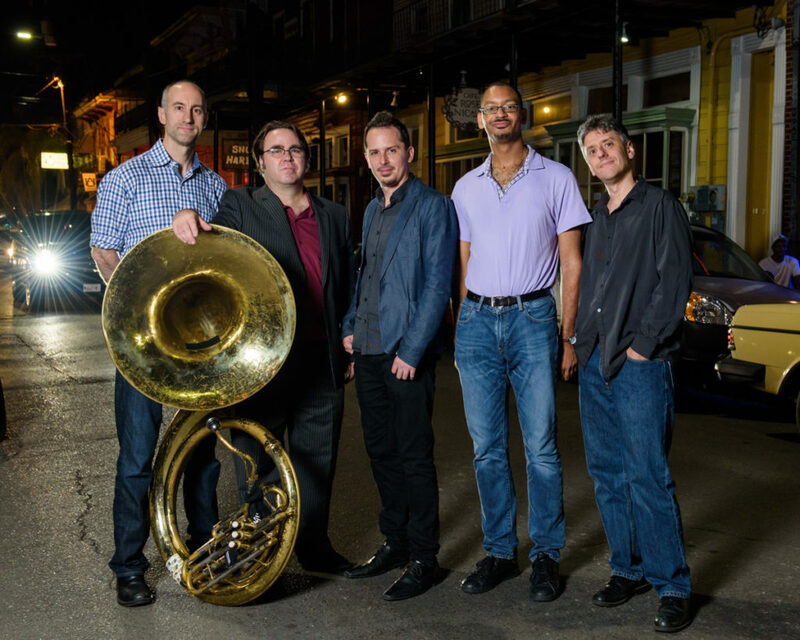 In the mid 90’s John played a memorable gig in New Orleans with David Torkanowsky on keys, Herlin Riley on drums, the legendary Johnny Adams on vocals, and Matt Perrine on sousaphone. The feeling of the music that night, unburdened by stylistic constraints and with the sousaphone holding down the bass, made such an impression on John that he was determined to start a band with this instrumentation.